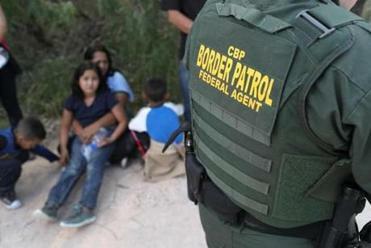 US Border Patrol agents took into custody a father and son from Honduras at the US-Mexico border this month near Mission, Texas. I hurried home Monday afternoon to see my 2-year-old daughter. There is nothing her parents would not do to protect her. And by sheer good fortune, there isn’t much we have to do: We were born here. But I needed to see her. Because even from the safety of a stable American life, it is impossible to listen to the wails of children separated from their parents at the border, released by ProPublica, without imagining your own child. At least I thought it was impossible. An alarmingly large portion of the American public is apparently unable — or unwilling — to look at, or listen to, a Central American child in distress and see a fellow human being. A dispiriting 27 percent of the country supports the so-called zero-tolerance policy that has led to a sudden, dramatic increase in families being separated at the southern border, according to a Quinnipiac University poll released Monday. Abraham: Where does the fault lie? America is wrenching your children away from you at the border, but don’t blame us. So why bother restating the obvious case against prying children away from parents whose sole crime — illegal entry — was committed in service of seeking a better, safer place to live? Anyone who can’t grasp the ghoulishness and abhorrence of this so-called zero-tolerance policy seems at this point to be unreachable. All the available evidence suggests that they have lost the capacity for even the most basic human empathy, and the rest of us will have to move on without them. It’s true that children who crossed the border unaccompanied were similarly warehoused under the Obama administration — one of several varied, desperate excuses now offered by the Trump administration in the face of widespread public scorn. But under Obama and until recently under Trump, families at the border were typically only separated in cases where children appeared to be in danger or where the familial relationship between adult and child was in serious doubt. 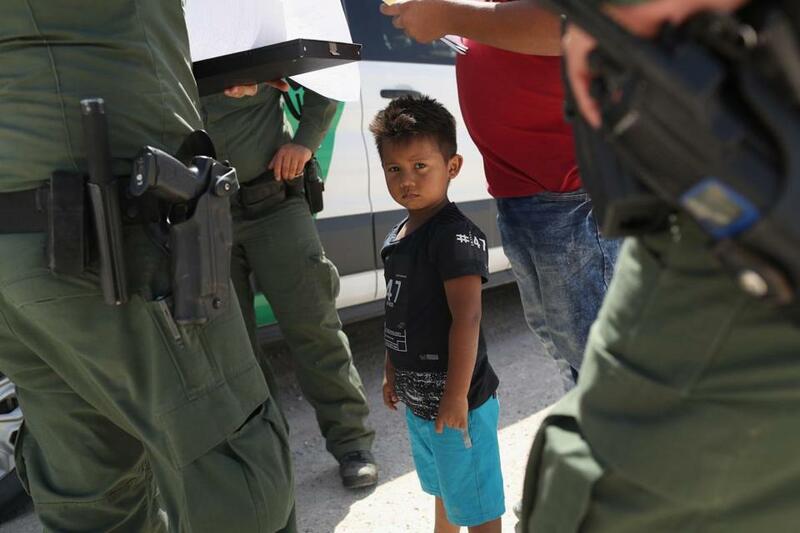 The rest of the children held at the border arrived alone. Now, we — yes, we, for this is being done in our name — are taking children from loving parents. That distinction is important. But it’s also important to acknowledge that immigrant children were separated from their parents under Obama, too — and in large numbers, when their parents were deported. If more people had known that was happening then — and if more people like me had sounded the alarm — perhaps we wouldn’t have ended up where we are today. It should not have taken the new low of the Trump administration’s transparently ethnocentric culture-war approach to immigration to make large numbers of decent, compassionate Americans take notice, but that’s what happened. If you doubt that the crackdown on border crossings is rooted in cultural and racial animus, try imagining cages full of white, English-speaking children at the border. Then recall that Trump, in the same breath in which he used a vulgarity to describe majority black countries, wondered why we don’t get more immigrants from countries like Norway. But raising your voice against what is happening now does not require excusing what came before. It must not, if anything is truly going to change. Our protestations are even more powerful when we admit that they are tardy, based not on distaste for a particular politician but rooted in empathy and an aversion to human suffering. For now, that means supporting such organizations as The Refugee and Immigrant Center for Education and Legal Services, or RAICES, a Texas nonprofit that provides legal services to immigrant children and families; or the Texas Civil Rights Project; or the ACLU. It means listening to the voices of the children taken from their parents, hard as they are to hear, and acknowledging that they are far from the first to suffer in our name. It means rushing home to hug your own kids, imagining what you’d do to keep them safe, and being grateful that you don’t have to do very much. Thank God or good fortune or Elmo.